I served on a six-month detail in the Office of Chief Communications Officer at the USPTO from May – November 2014. Although my primary responsibilities did not include social media, I love how patents affect every aspect of our lives and wanted to contribute to this team’s success. 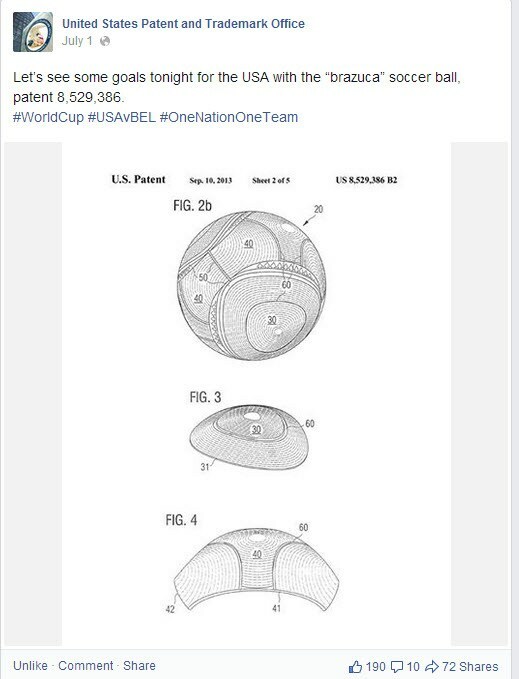 My idea featuring the Brazuca ball patent during the 2014 FIFA World Cup was the third most popular posting USPTO had in July. My idea featuring inventor Jozsef Biro Laszlo was the third most popular posting USPTO had in September during Hispanic Heritage Month. 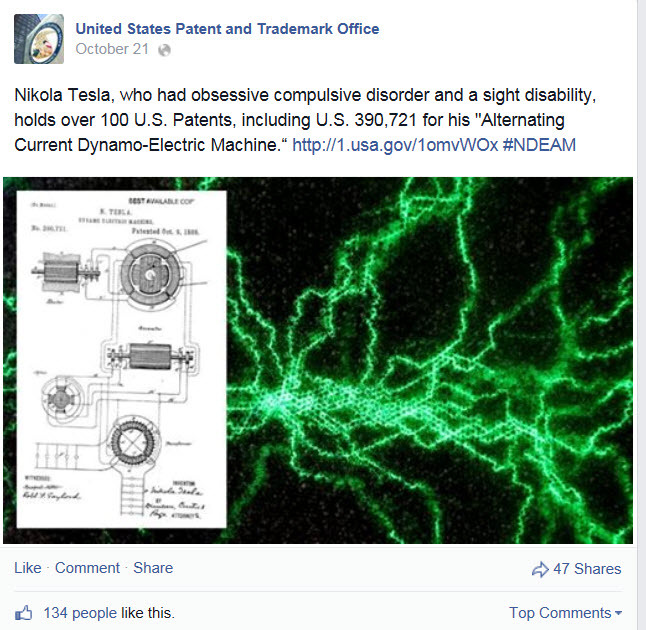 My idea featuring Nikola Tesla was the fourth most popular posting of the week in October during National Disability Employment Awareness month.